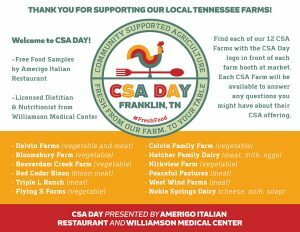 The Franklin Farmers Market will host its first CSA Day on May 7th, 8am till 1pm presented by Amerigo Italian Restaurant and Williamson Medical Center. This is your opportunity to meet a farmer who will grow your food for the season in your very own CSA! In a CSA, a farmer “contracts” with other people in the community to provide them with a portion of the year’s harvest. CSA customers pay the farmer before the produce season begins, allowing the farmer to buy necessary seed, fertilizer, fuel and other inputs to farm for the year. When crops start coming in, the customer’s fresh, local food is already bought and paid for. 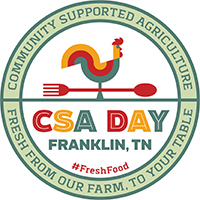 CSA members might go to the farm to pick up their shares or meet the farmer at a drop-off site in the community, like the Franklin Farmers Market. In addition to fruits and vegetables, customers can choose a meat CSA. A meat CSA typically has the popular cuts of meat from chicken, pork, beef, goat, turkey and lamb. You may pick up a vegetable share once a week, whereas a meat share you would pick up once a month, but talk to your farmer, as it may vary. 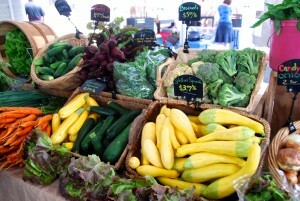 You can find meat CSA’s and vegetable CSA’s at the Franklin Farmers Market and have a one stop shop! We have many special surprises planned for our first CSA day including free food samples from our CSA farmers prepared by Chef Steven Robilio from market sponsor Amerigo Italian Restaurant. Amerigo Farm Diners prepared by Chef Steven are a popular dining experience each month using fresh produce from our local market farms. Registered Dietician and Nutritionist, Melanie Parnell from Williamson Medical Center, will be on hand to answer questions and help you achieve your health goals. Melanie has been a Registered Dietician and Licensed Nutritionist for 26 years. Williamson Medical Center will have a booth at the market where Melanie will be to answer any health questions you may have and help you become a better you! A CSA is the perfect way to make sure you get your fruits and veggies and achieve your health goals. For those who like to “live local,” the perfect solution is a gift of a CSA share for a season of fresh produce and other local foods from a nearby farm. Mother’s Day is right around the corner, and every year we try to show our love for mom with gifts that may or may not have real meaning. Everyone eats, and everyone benefits from eating fresh produce and fresh farm meats. With a CSA gift, both the person who receives fresh foods and the CSA farmer are better off. Your gift of healthy, locally grown food sends your love into the recipient’s home every week, and nothing says I love you, mom, like showing her you really did learn to eat your veggies. Click on this link to download your Passport for our CSA Day Event. 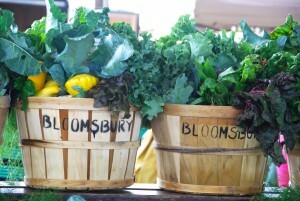 Look for the CSA Day logo to find each of our 12 CSA Farms when you arrive at market. 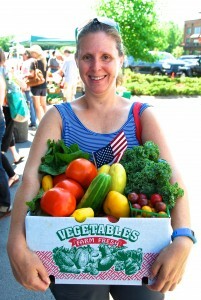 Find a vegetable and meat CSA farmer at the Franklin Farmers Market’s first CSA day on May 7th from 8:00 am- 1:00 pm. 1. Support a local farm and learn how your food is grown. We all have a doctor for our health, but what about a farmer? With a CSA you can have a personal relationship with your farmer and get to know who is growing your food and how. By buying a CSA, your money goes directly to your local economy, your personal farmer, and you are helping to keep the family farm alive while having access to healthy, nutritious food. You will eat leafy greens in the Spring and Fall, tomatoes and cucumbers in the Summer and root vegetables in the Winter. This is how we are meant to eat- with the seasons when produce is at its best and flavor is delectable. You may not know what to do with kale now, but if you join a CSA you’ll get the opportunity to learn to cook vegetables you’ve never tried. Unlike fruits and vegetables in a grocery store that are harvested with shelf life in mind, the fruits and vegetables harvested for a CSA are hours old, at their ultimate peak of flavor and freshness. By buying a CSA share, you will have access to fresh fruits and vegetables every week. You won’t want to waste those veggies, and you will end up with healthy eating! Many CSA’s give their customers recipes for what is in the CSA box. You’ll learn to cook things you never knew about and you’ll feel accomplished! Cooking at home will save you money in the long run, too. Compared to buying the same amount/volume in the grocery store, joining a CSA will save you money. You’ll have to go to the grocery less, too. When a fruit or vegetable is harvested, it immediately begins losing vitamin content. Having your veggies hours old ensures you are getting the most out of the nutritional content possible! 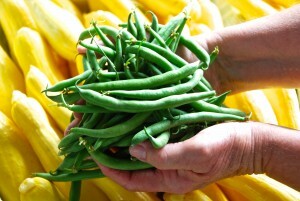 Buying from a local farm ensures that your food does not have to travel the average 1500 miles of grocery store food. You are lessening your carbon footprint by consuming food that is locally grown in a CSA. A small family farm is going to be as sustainable as they can in their growing methods and protect the land- after all, this is their livelihood and it is in their best interest to protect the environment! We are now three generations removed from the family farm and our children do not know how food is grown. Participating in a CSA allows you to connect to the farmer, to visit the farm and get back to your roots! Many CSA’s allow you to volunteer on the farm, and others hold open houses to give you a tour. The Franklin Farmers Market is a producers only market meeting behind the Factory in Franklin Tennessee each Saturday all year long with over 110 approved vendors for this new market season. This entry was posted in Market Festivals, Market Saturday News on April 29, 2016 .